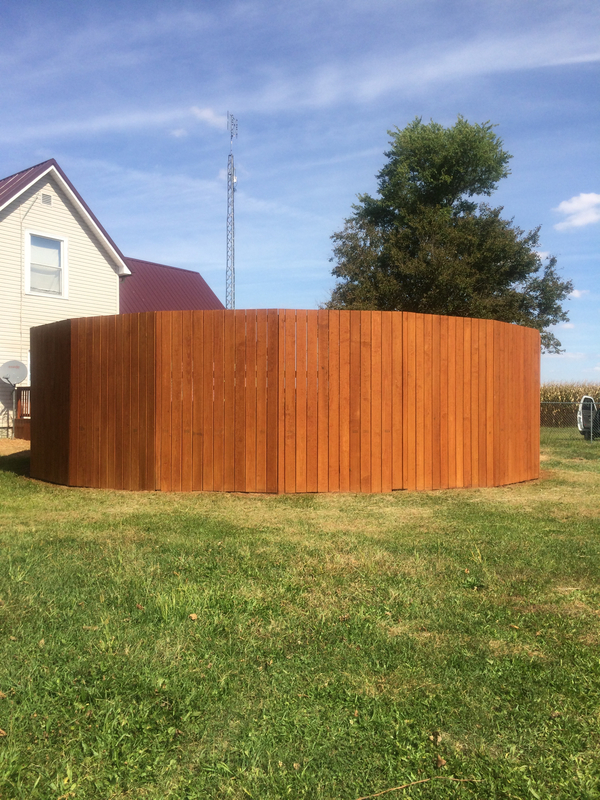 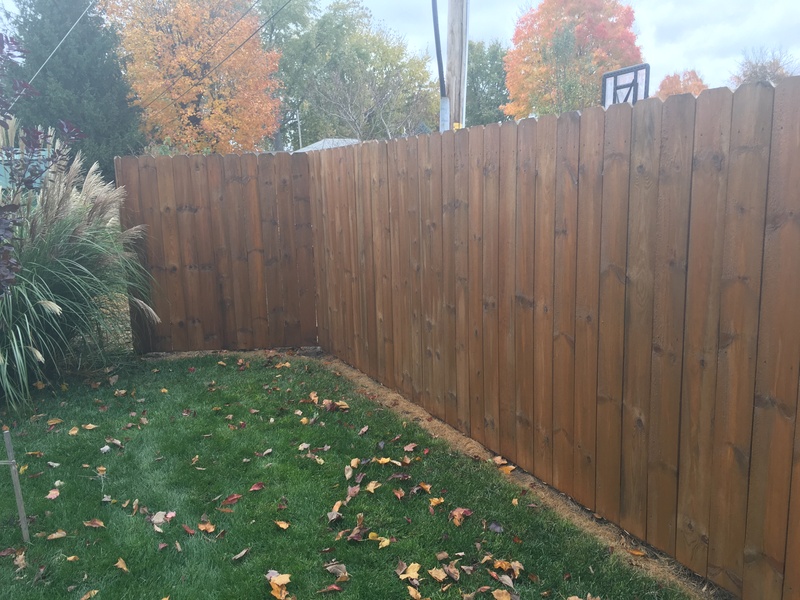 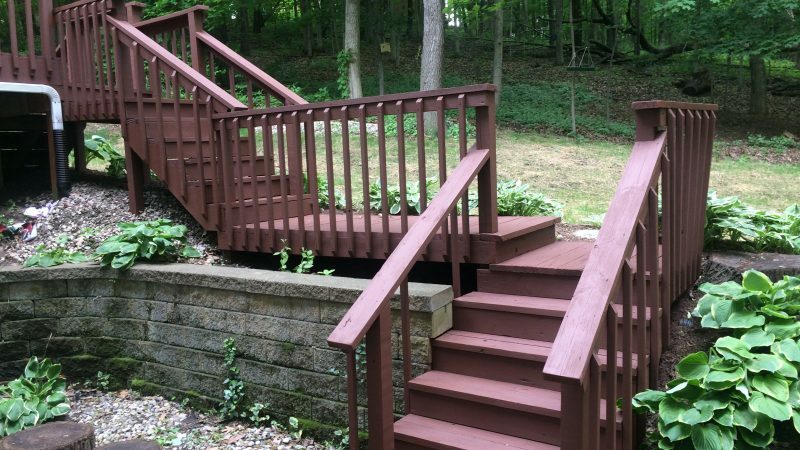 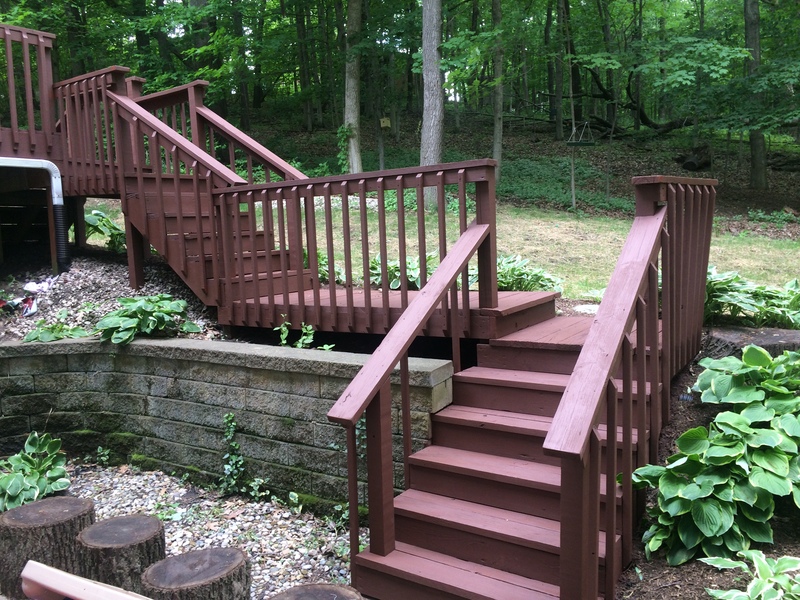 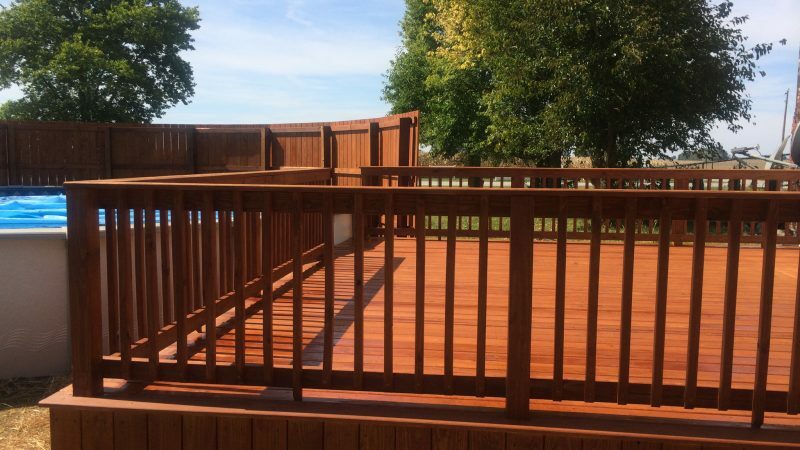 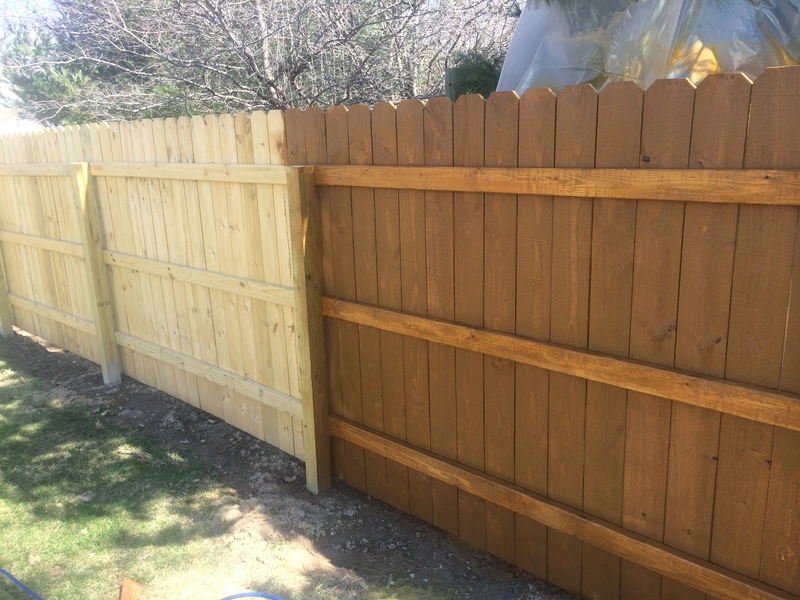 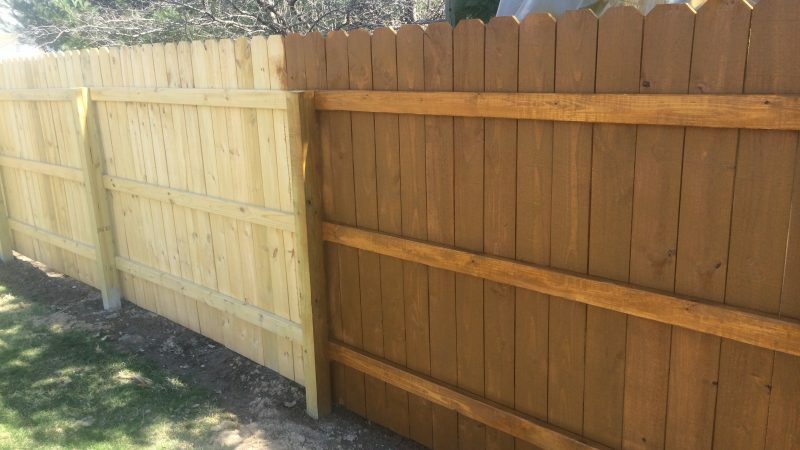 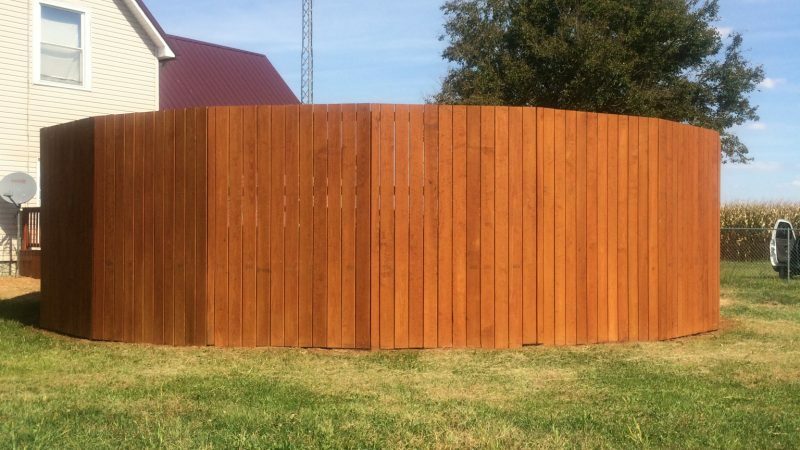 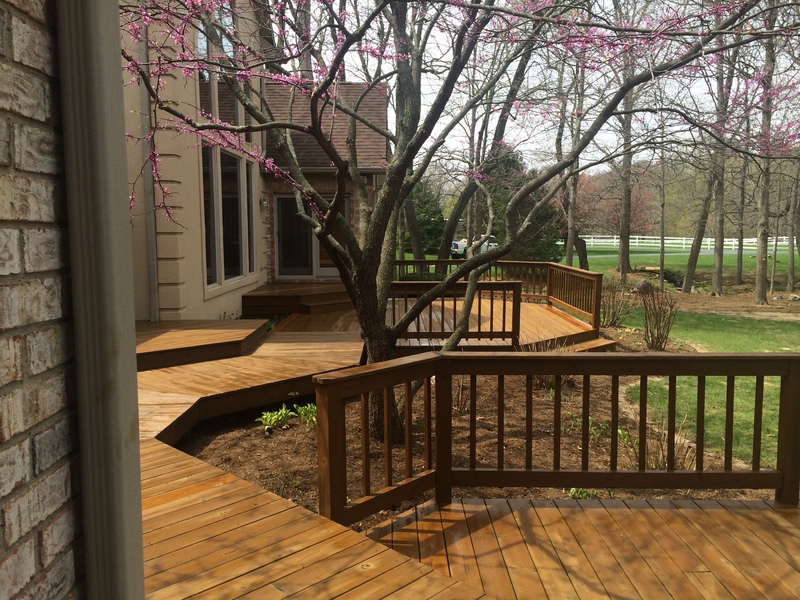 Let our fence and deck staining experts help you! 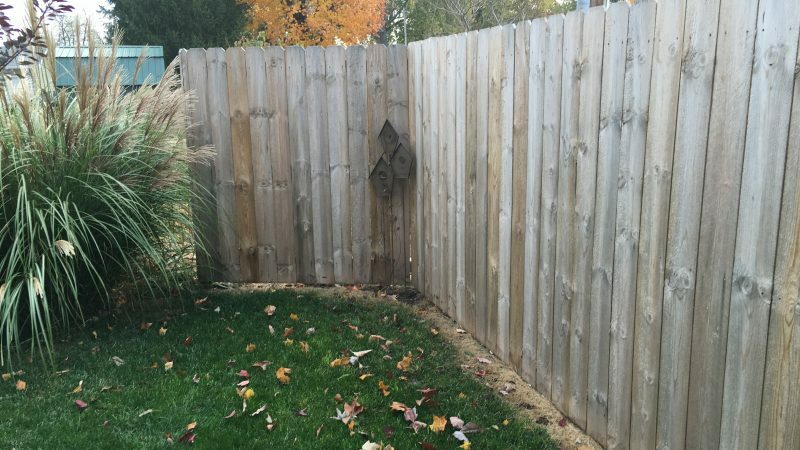 Ah, the great outdoors! 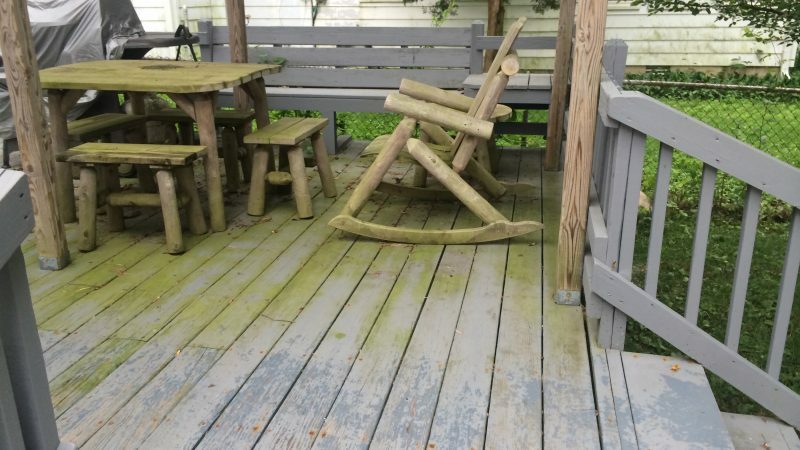 Relaxing outside with a few close friends, a refreshing glass of lemonade in your hand, and children’s laughter being heard across the yard. 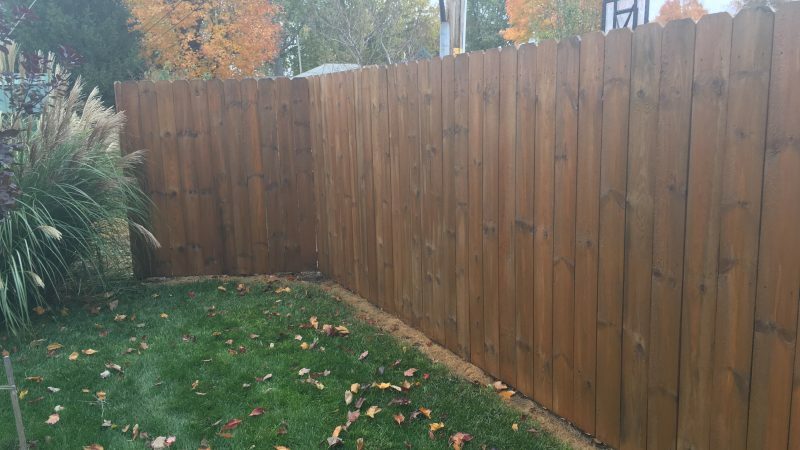 It all looks great! 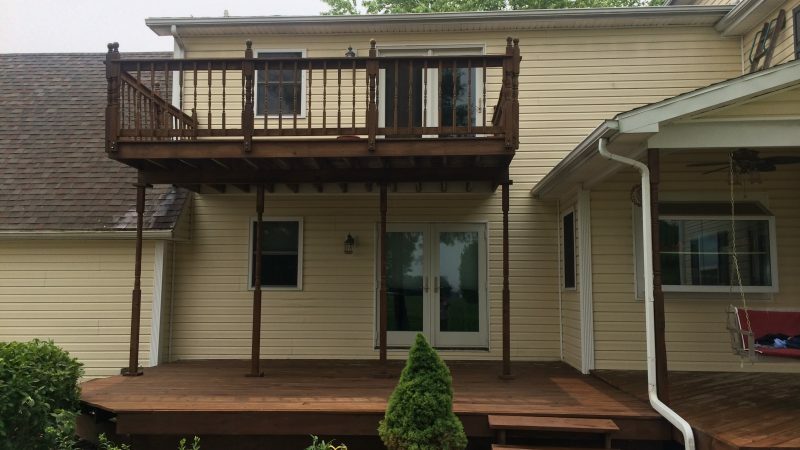 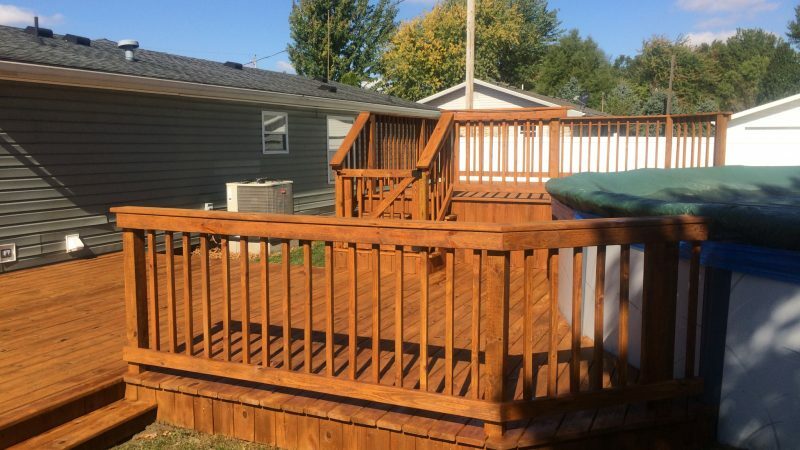 At least that’s what you envisioned when you invested all that money and time in your new deck and outdoor wood structures. 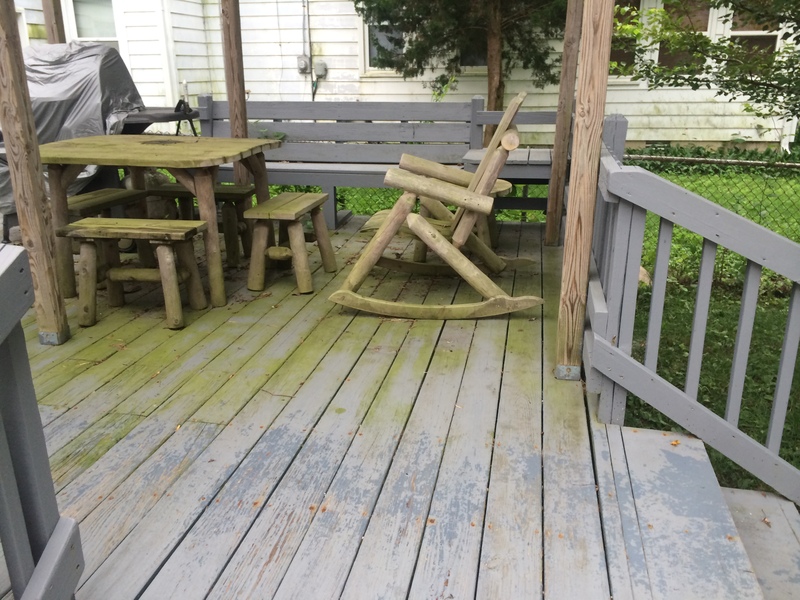 But how do you keep that vision alive? 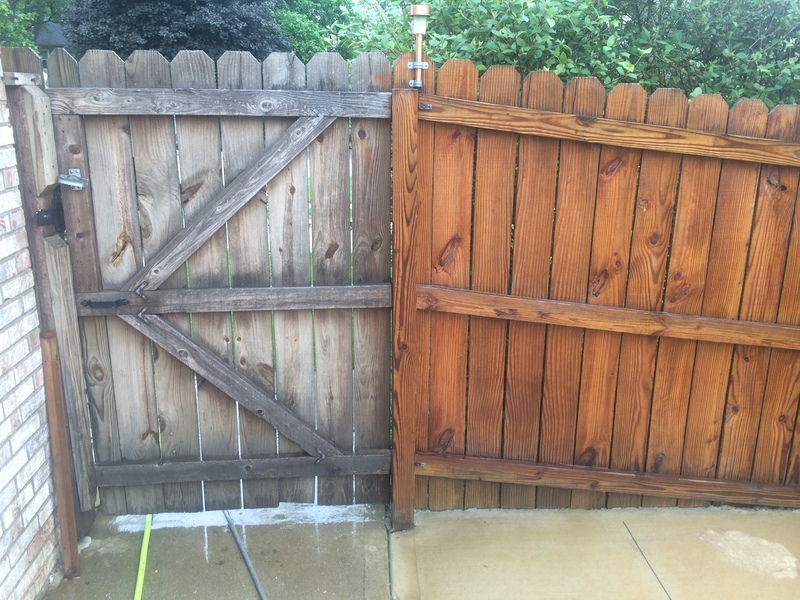 How does anyone keep wood looking nice when it’s constantly exposed to the elements? 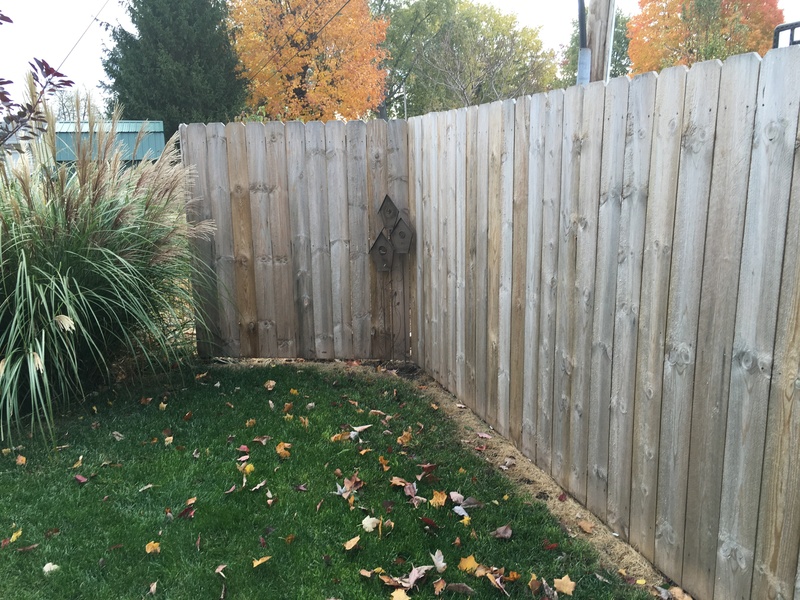 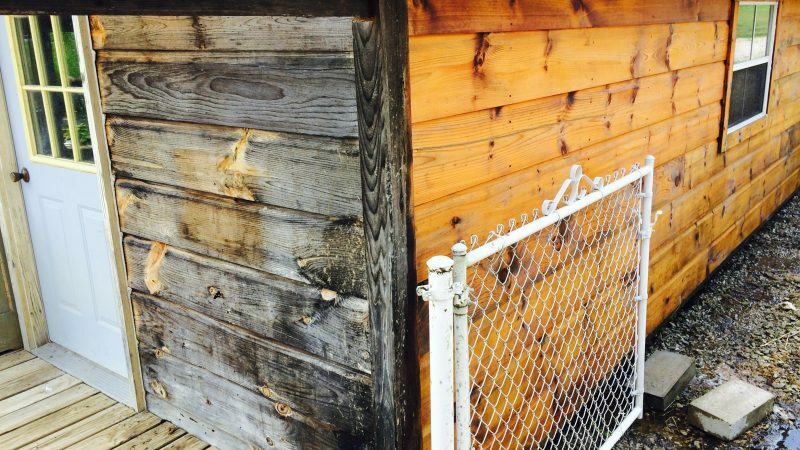 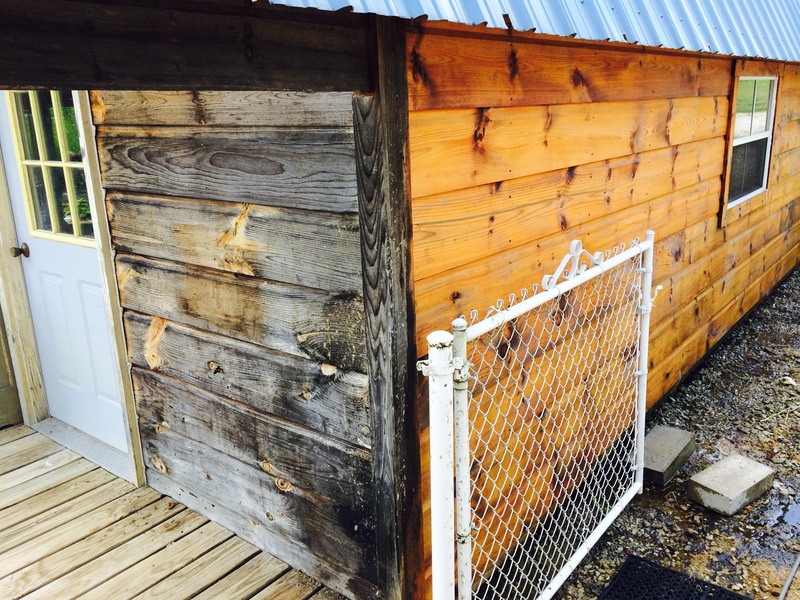 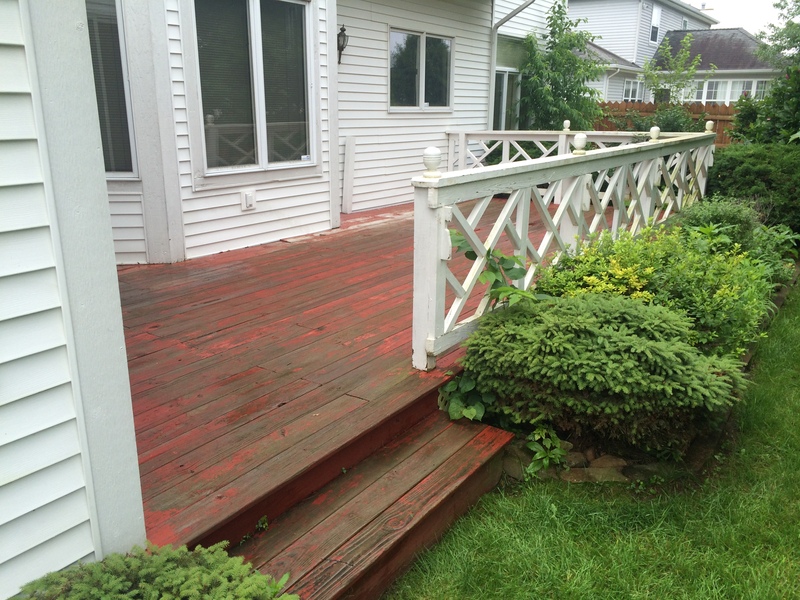 Let our fence and deck staining experts help. 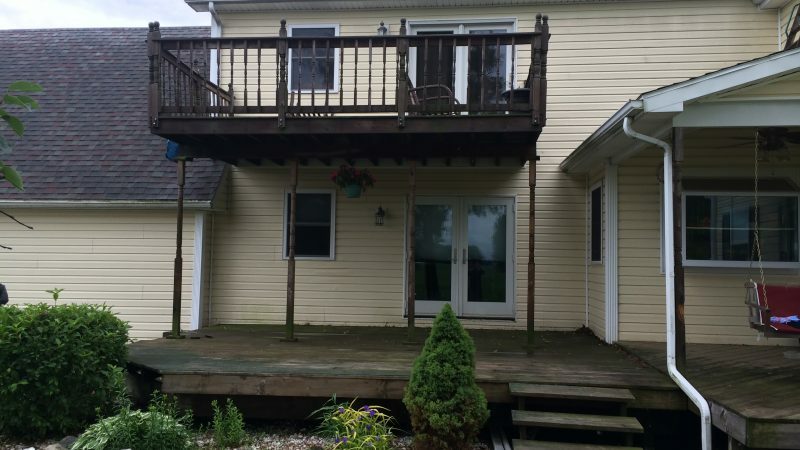 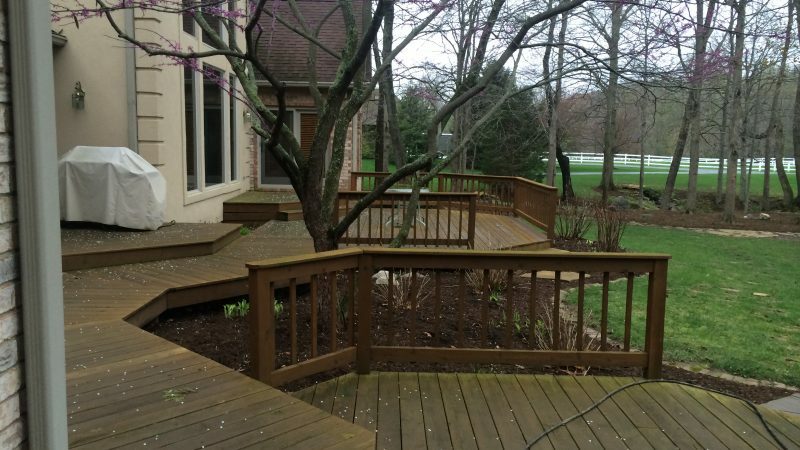 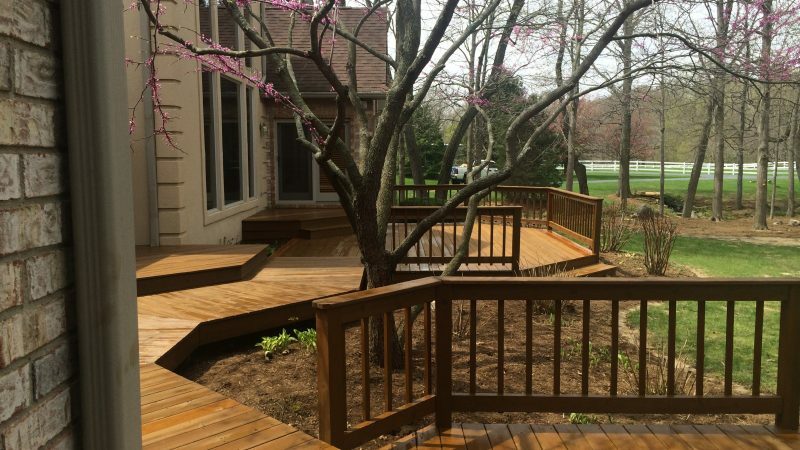 You’re not the only one to think your wood deck, fence, pergola, etc. 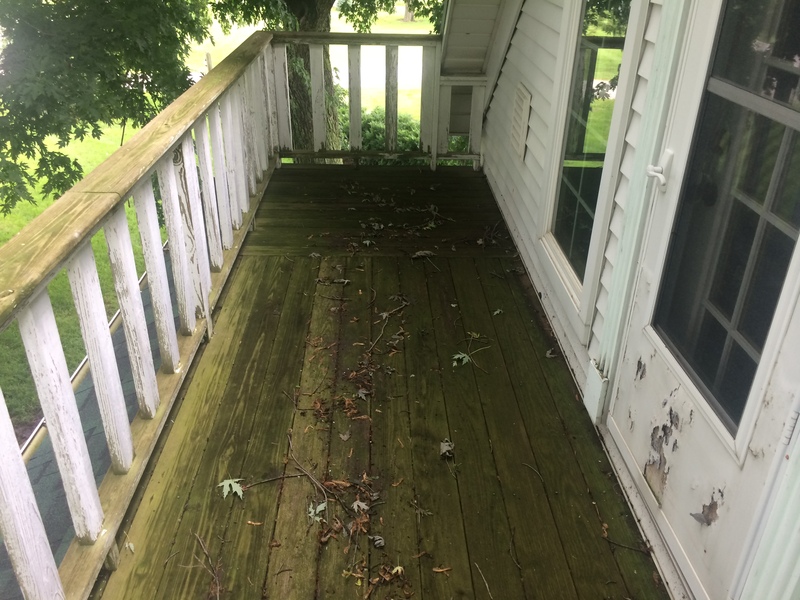 will never look good again. 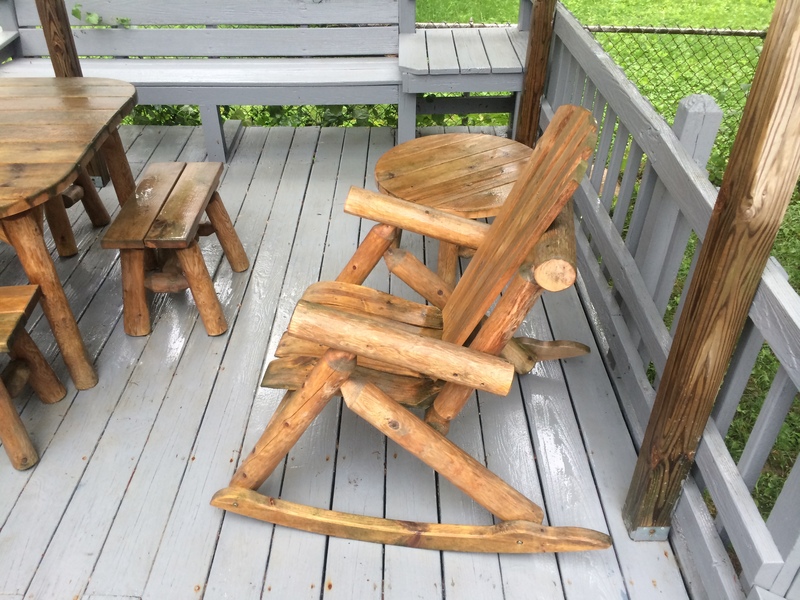 Rain and snow are notorious for having no respect for wood. 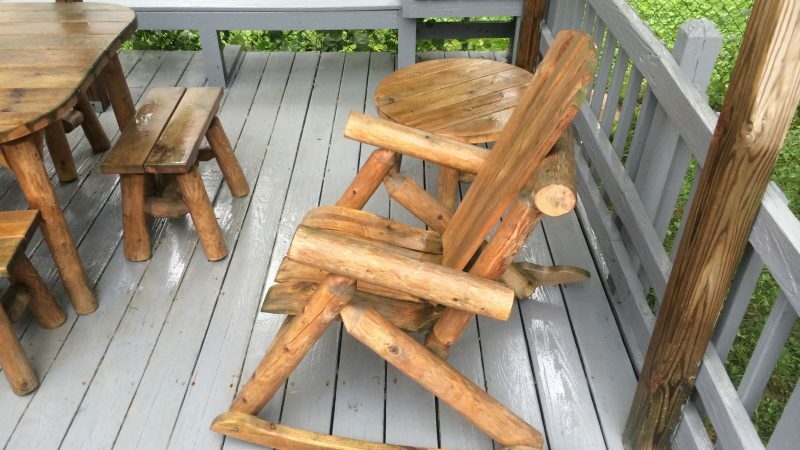 Add to it the general use of people, pets, and patio furniture and you eventually end up with a scratched up, graying, chipping, peeling, cracking, ugly, worn out… you get the picture. 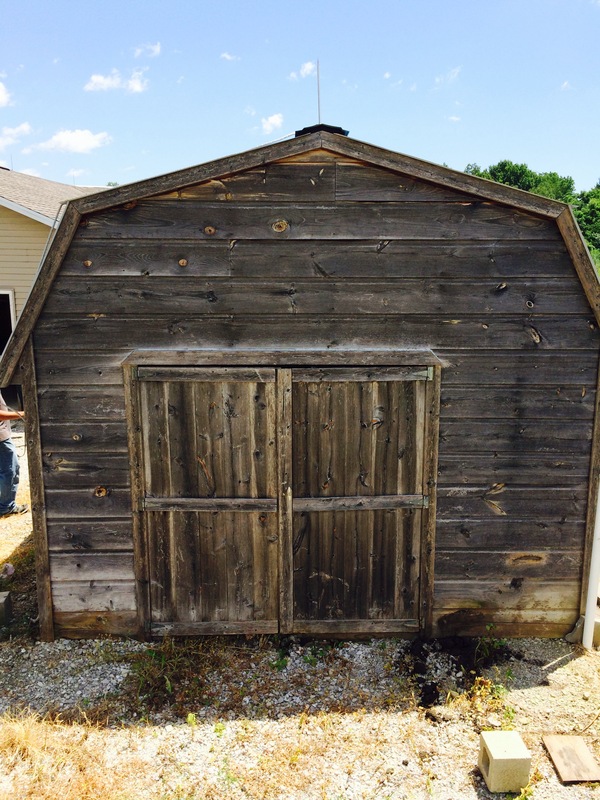 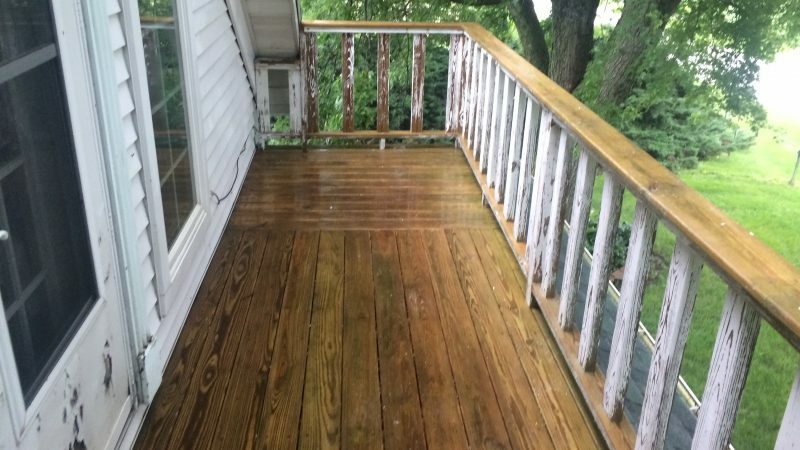 Call Anew Contractors to restore your hope and your wood! 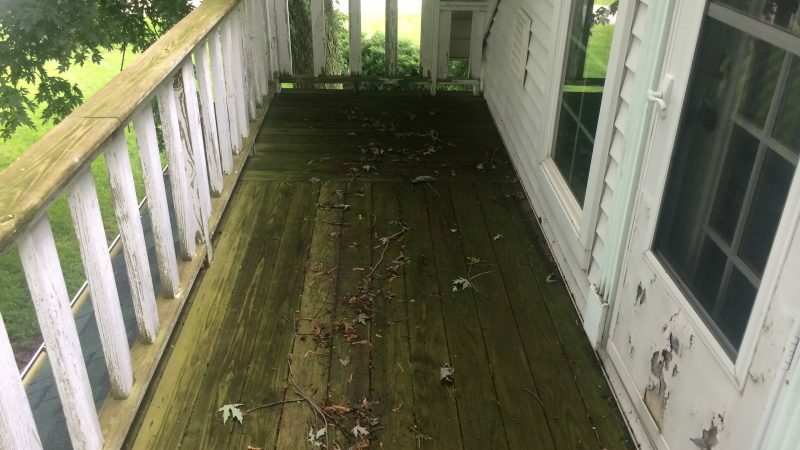 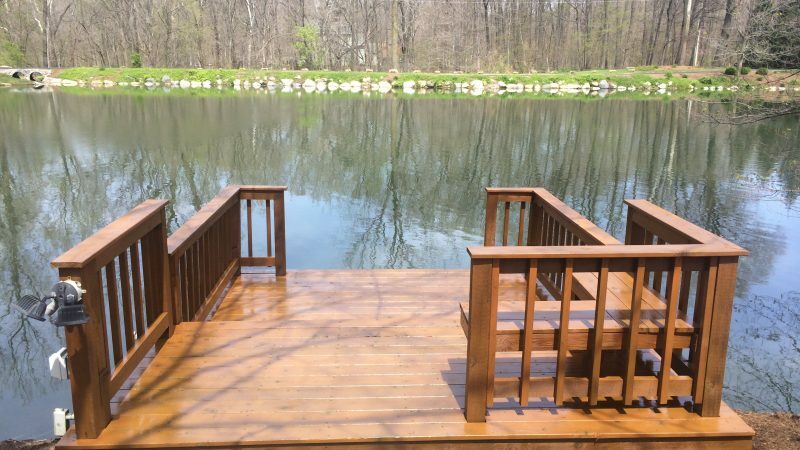 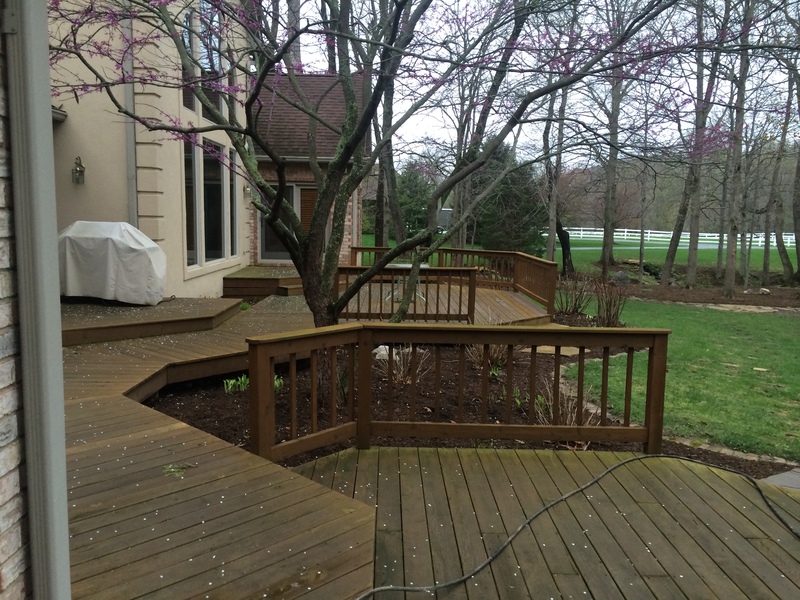 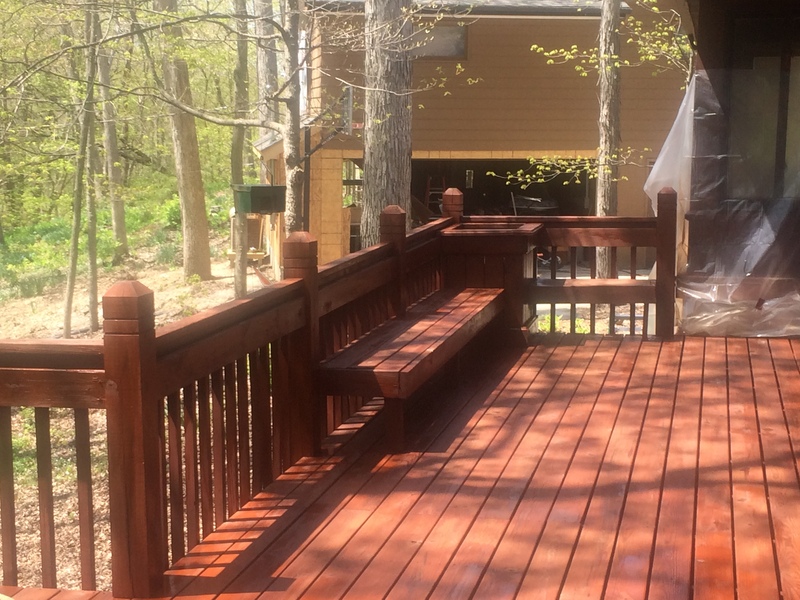 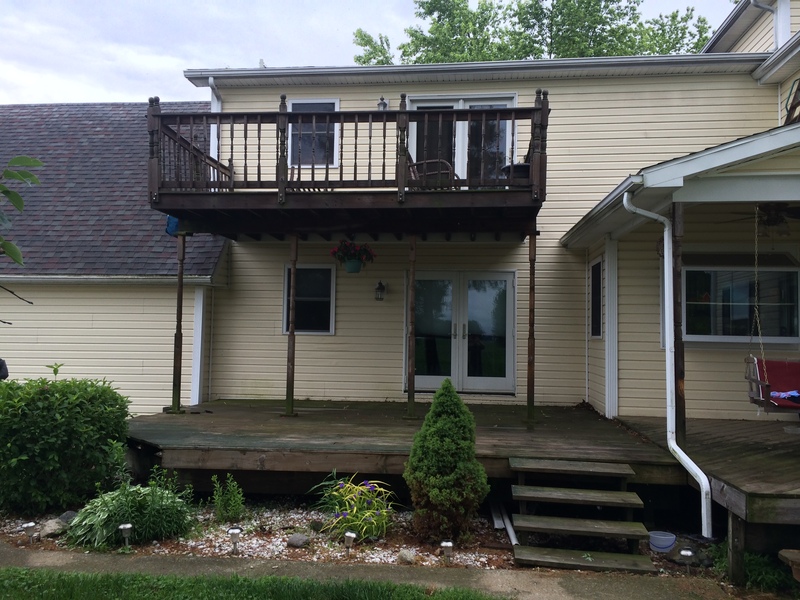 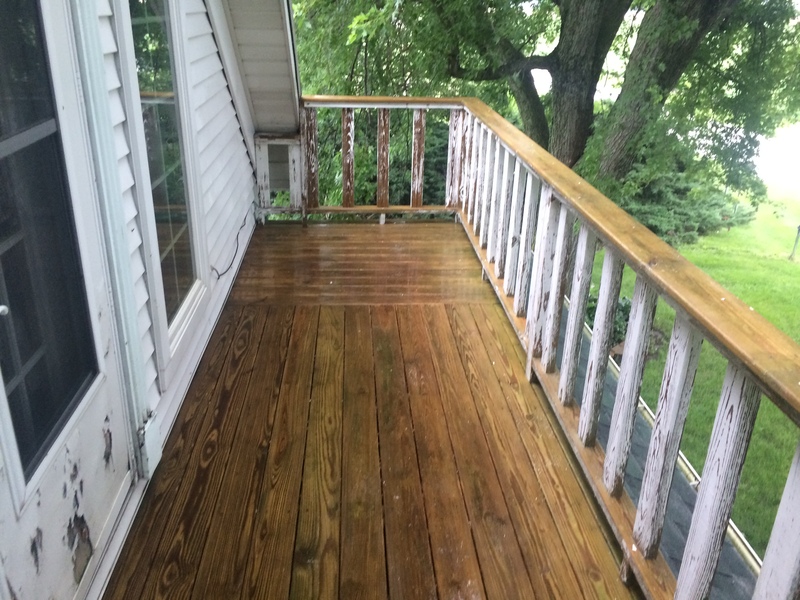 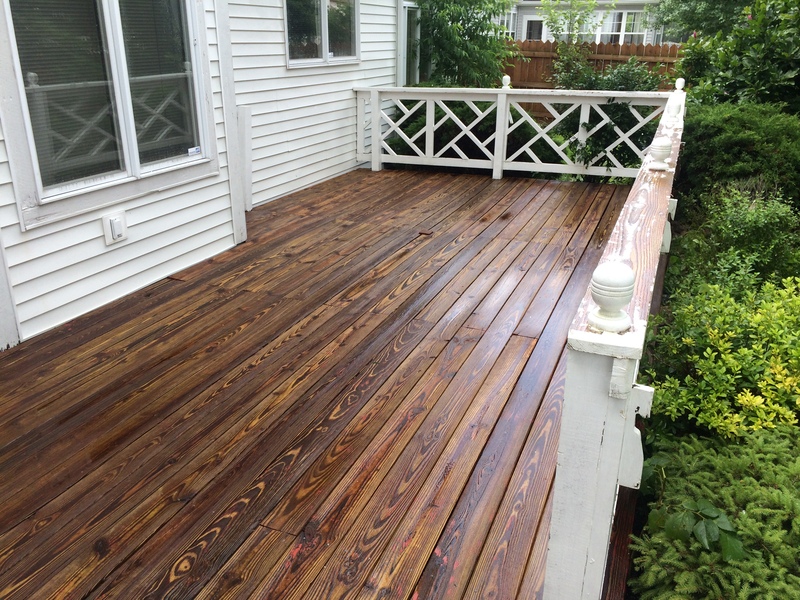 We begin with our deck power washing (or fence pressure washing, or whatever wood washing you need). 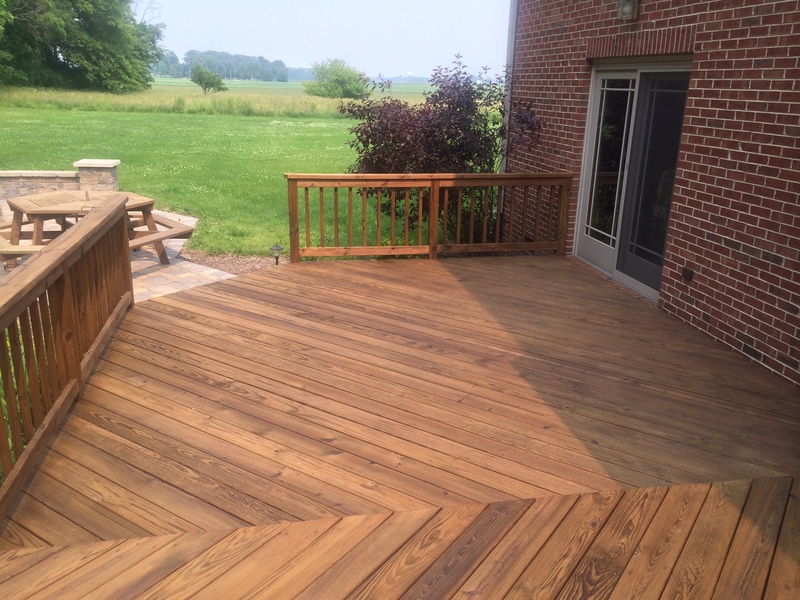 Our gentle wash system gets your wood clean again – no more ground-in grime and dirt – without threat of even more permanent damage. 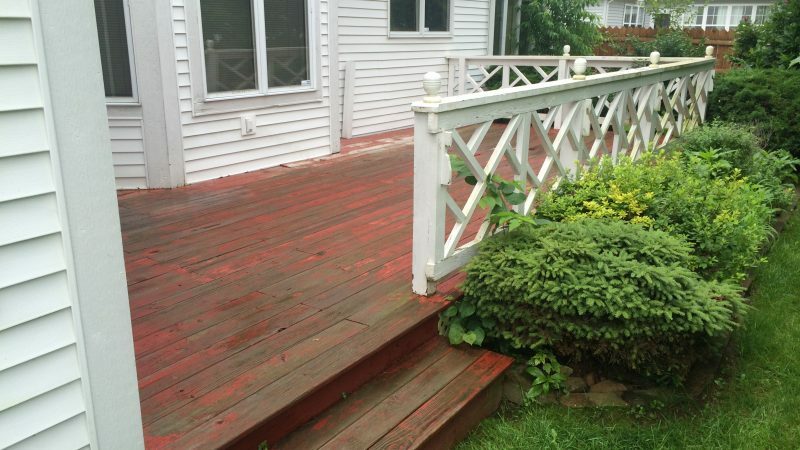 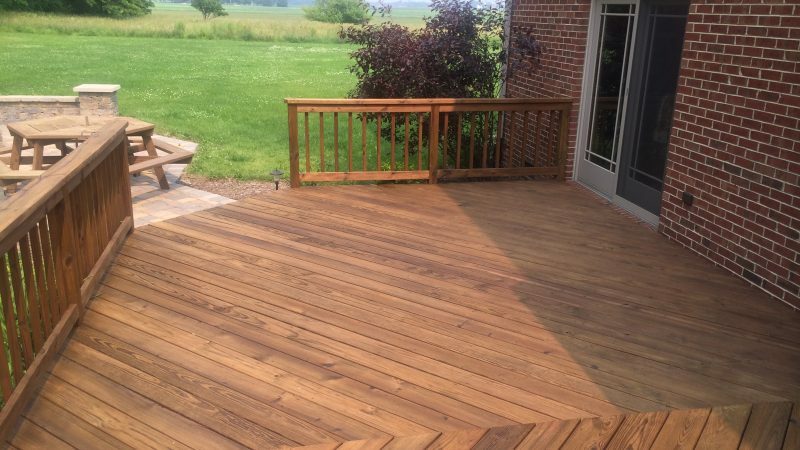 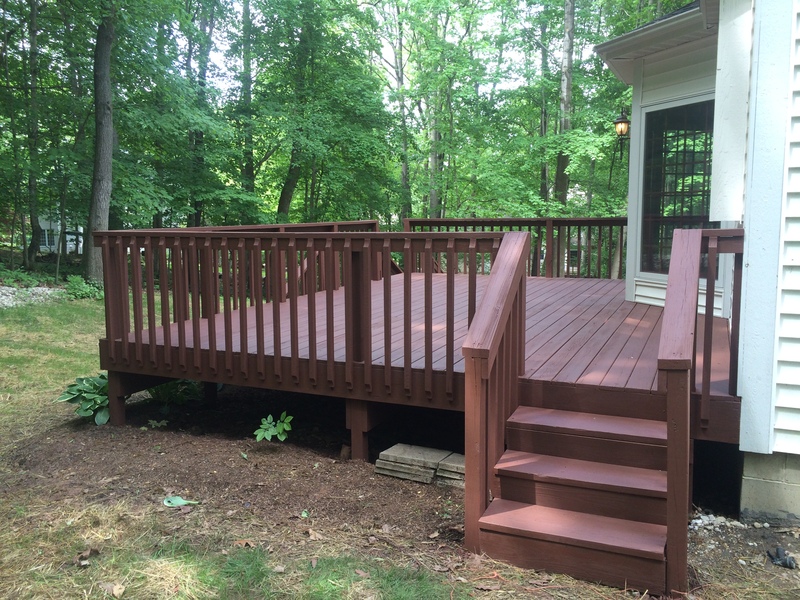 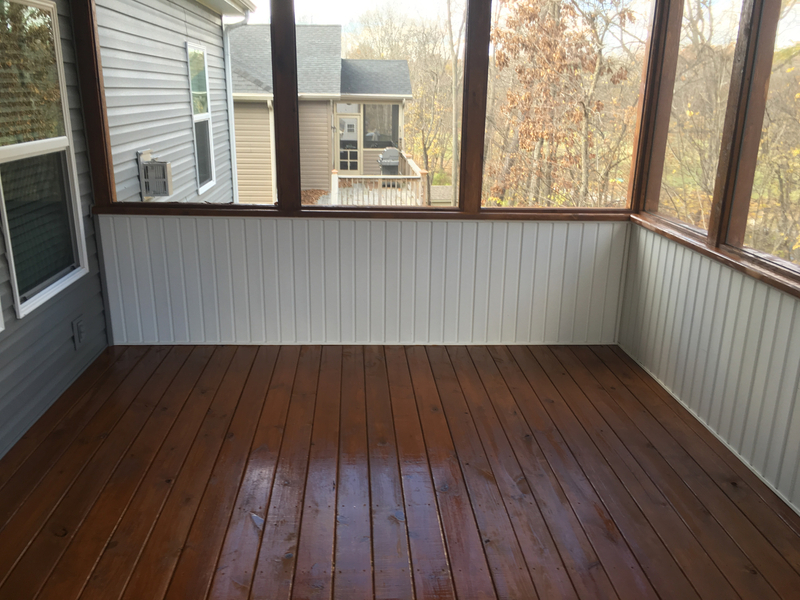 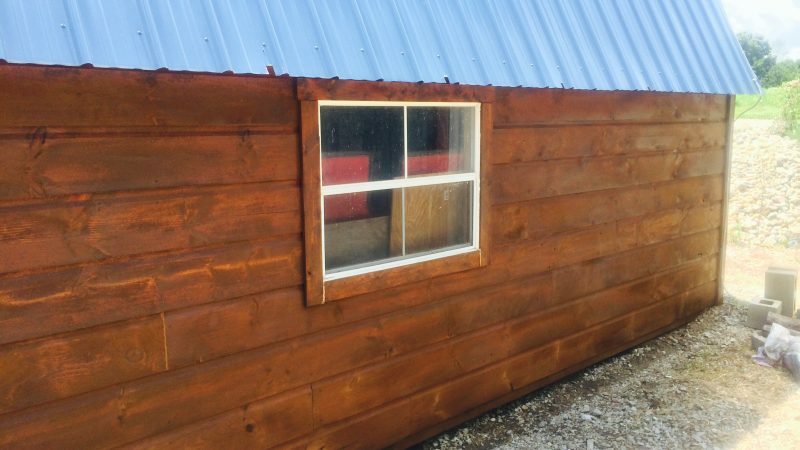 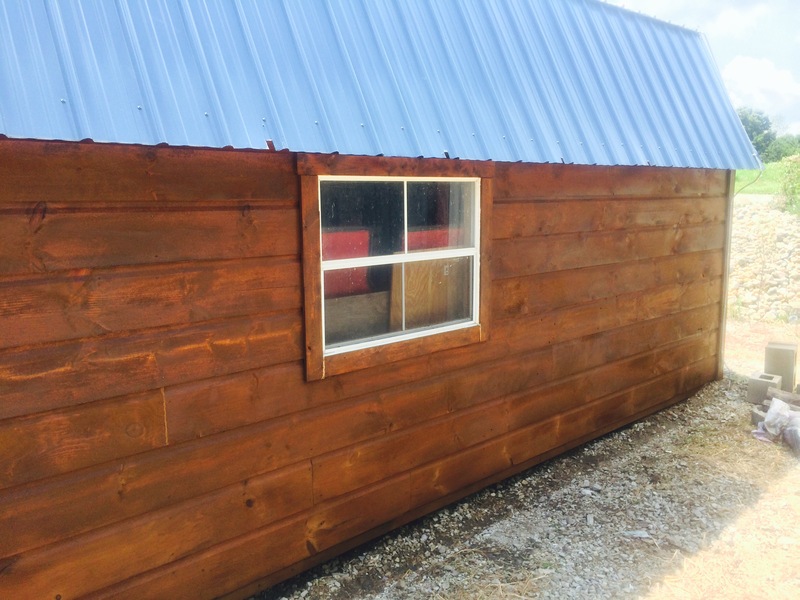 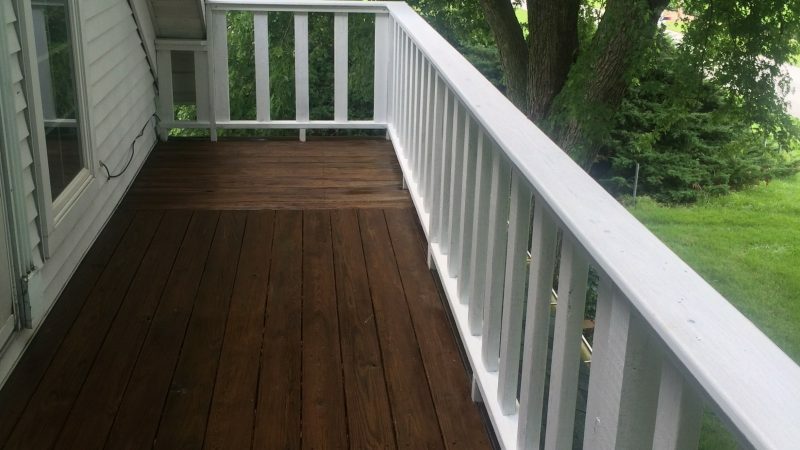 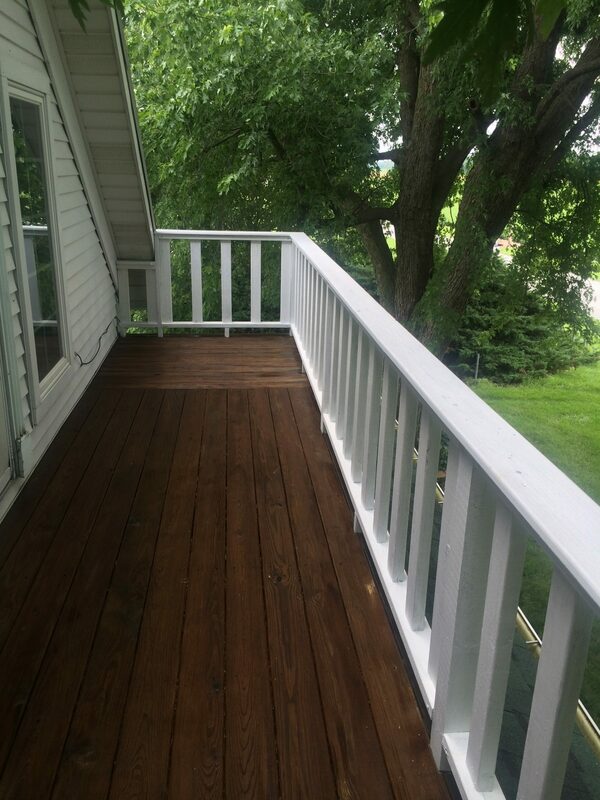 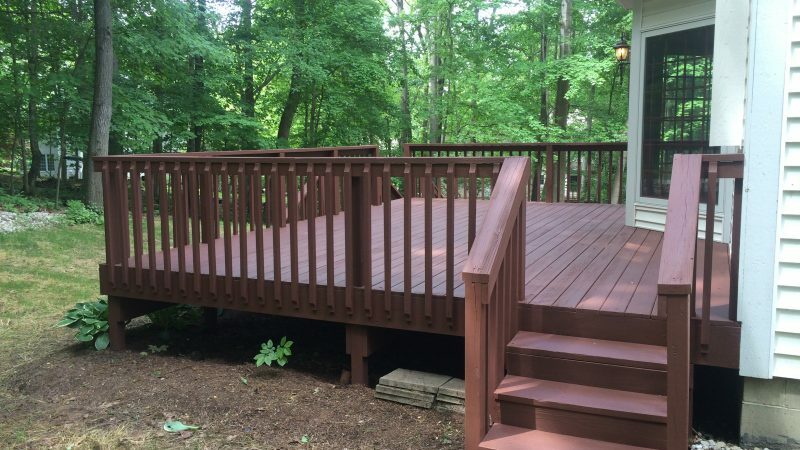 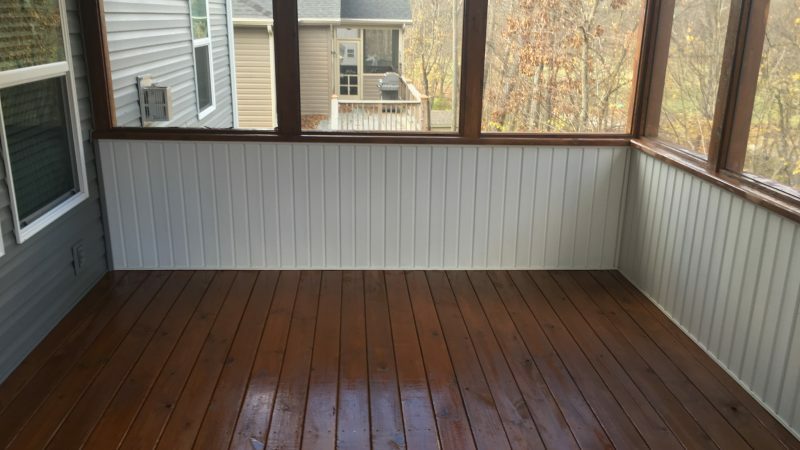 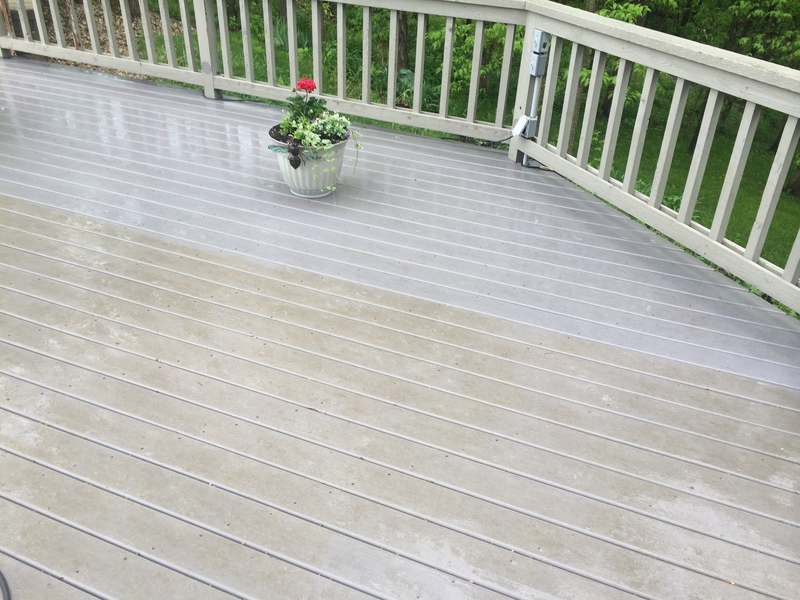 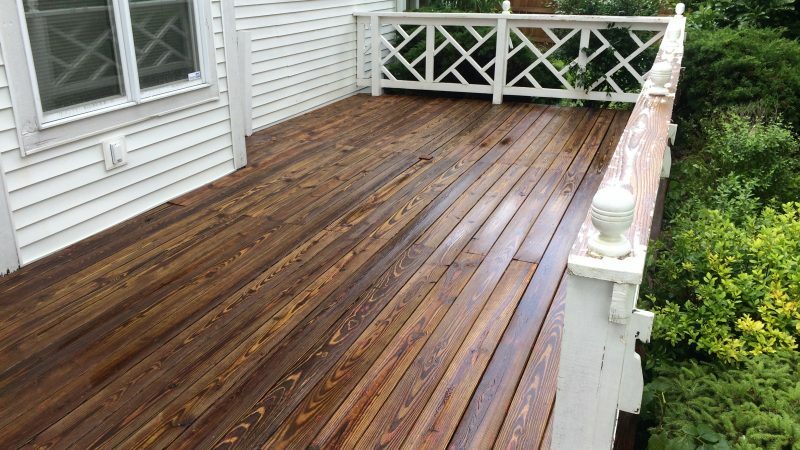 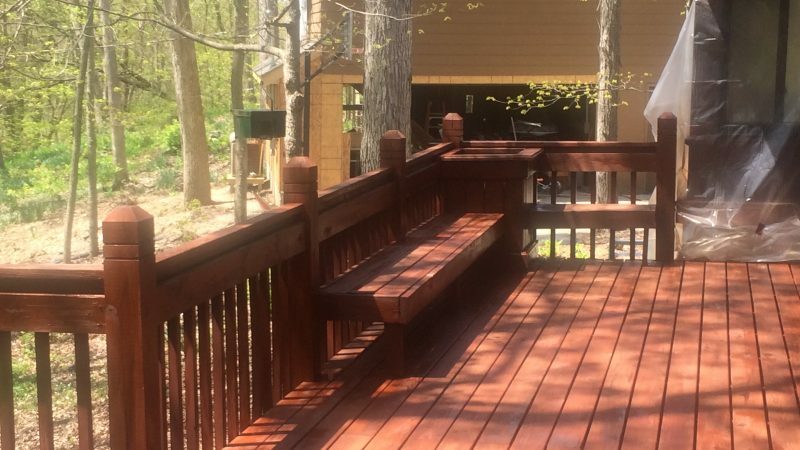 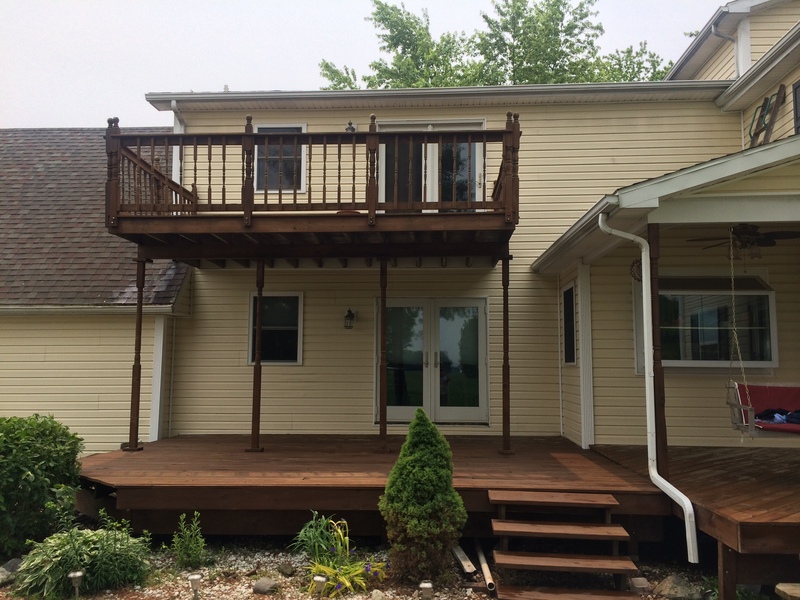 After the fence or deck staining, we DON’T add a clear coat over the top to lead to more cracking and pealing. 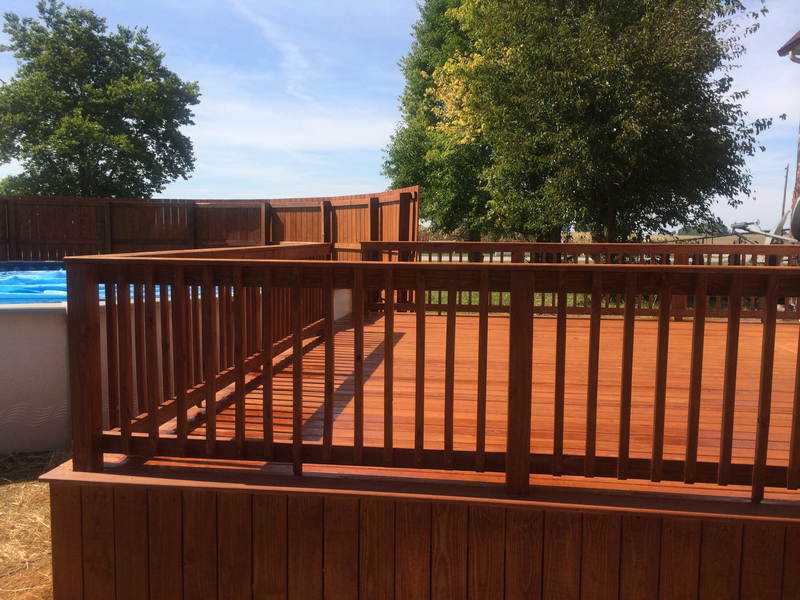 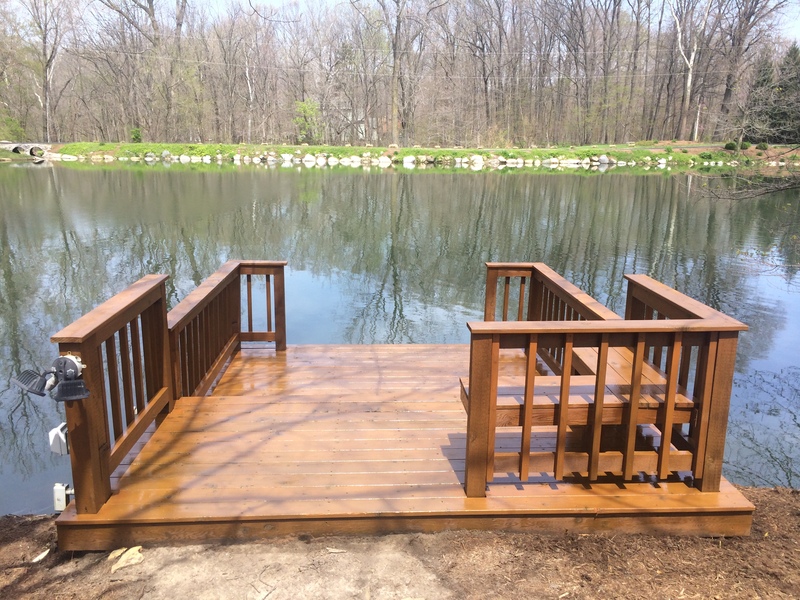 Instead of your typical top-laying coating, we apply a wood-penetrating seal which works deep into the wood. 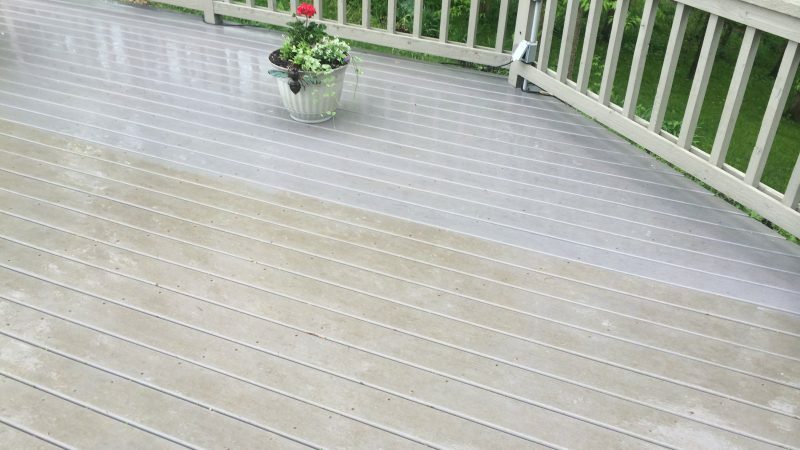 The seal protects the wood from damaging rain, snow, and heat and isn’t susceptible to scratches from pet claws, patio furniture feet, or good, old-fashioned childhood fun. 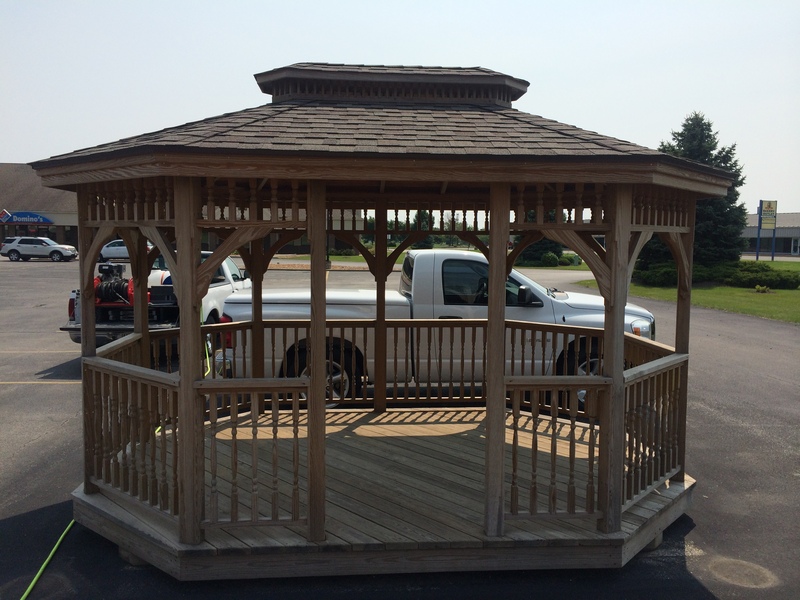 Like so many of our services, we offer a regular maintenance plan, too. 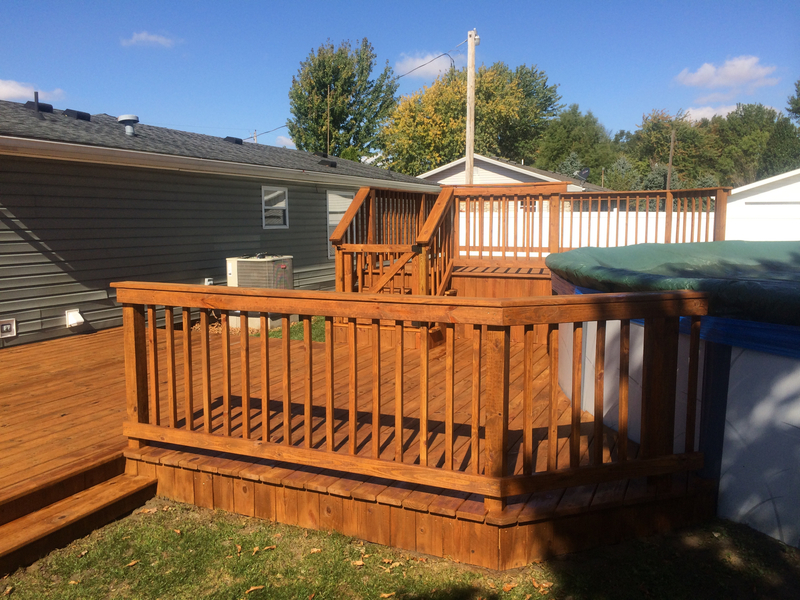 After the initial application, we call our customers in a couple of years to schedule an update as needed. 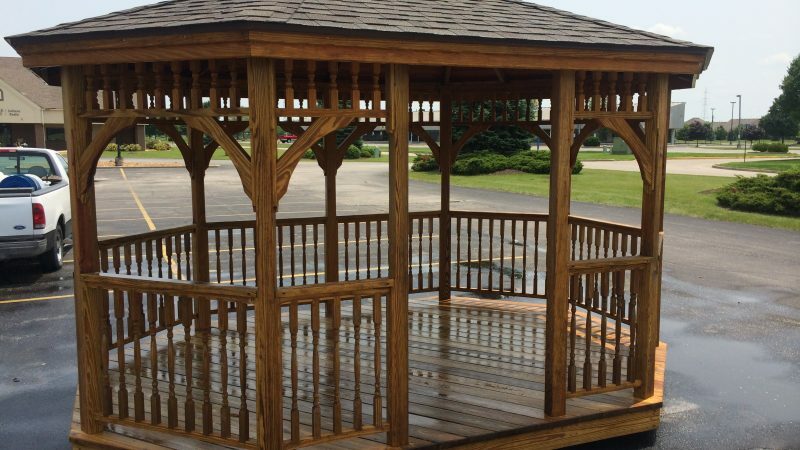 Knowing we have customers we call on years later gives you the reassurance that we’ll be there for you when you need us, too. 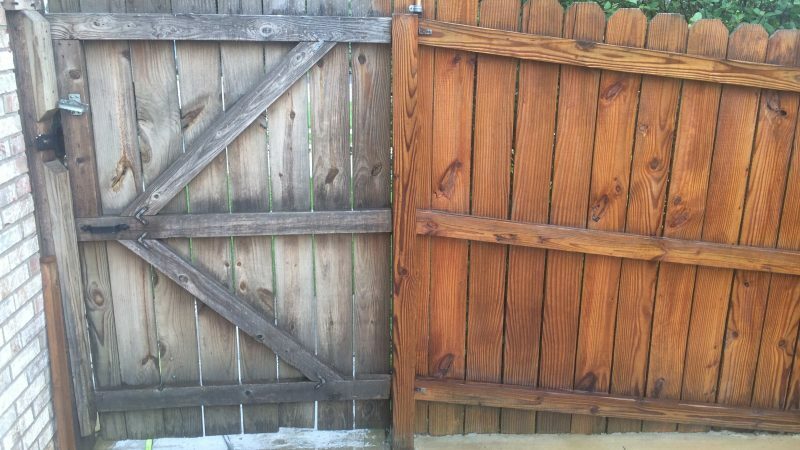 No fly-by-night outfit here. 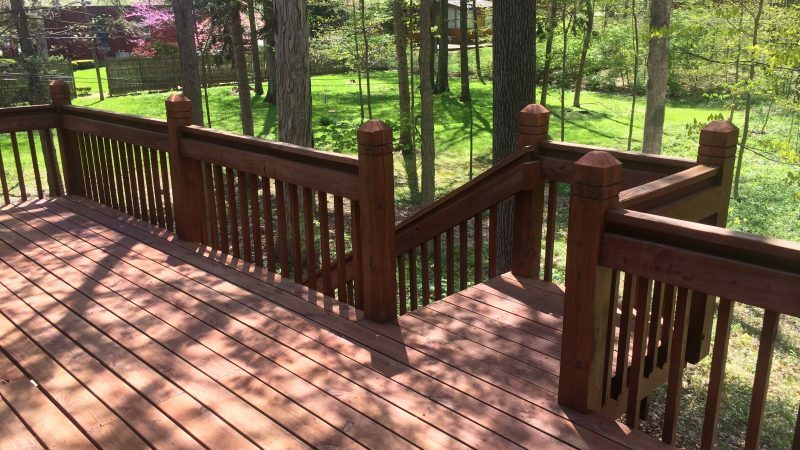 Anew is as reliable as they are skilled! 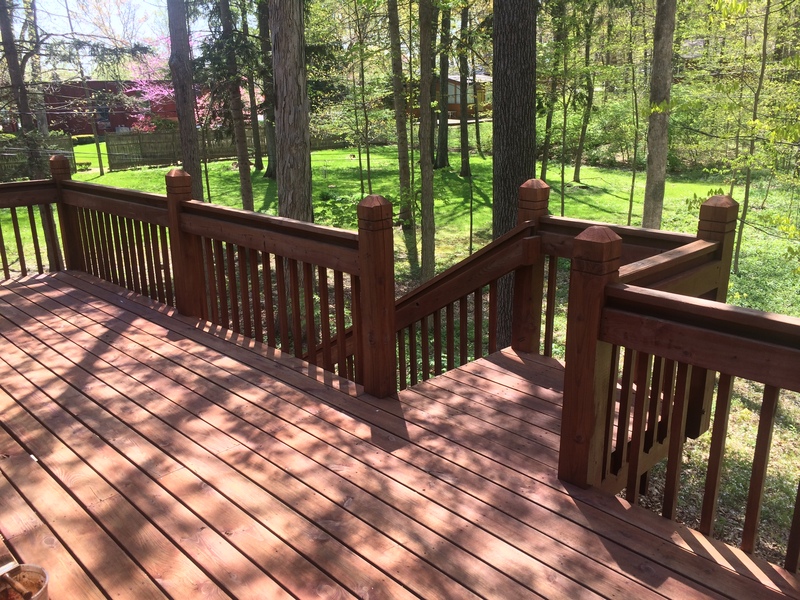 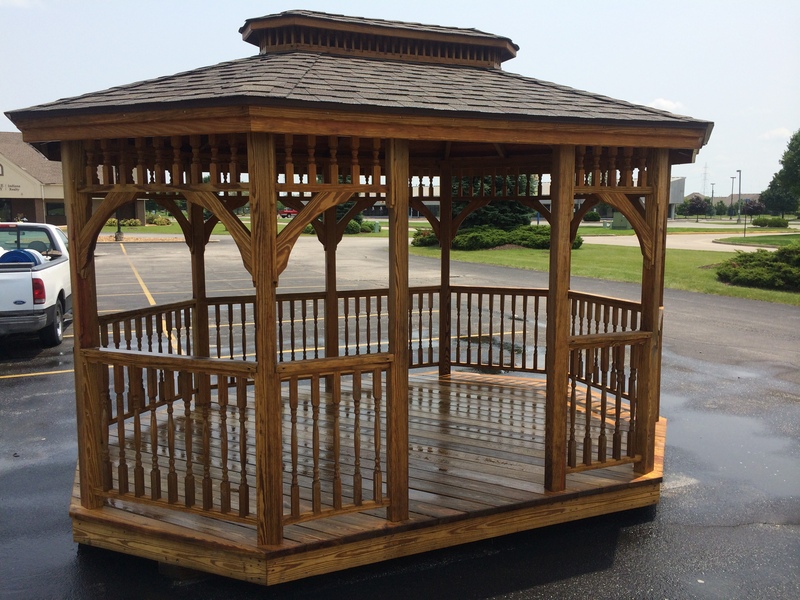 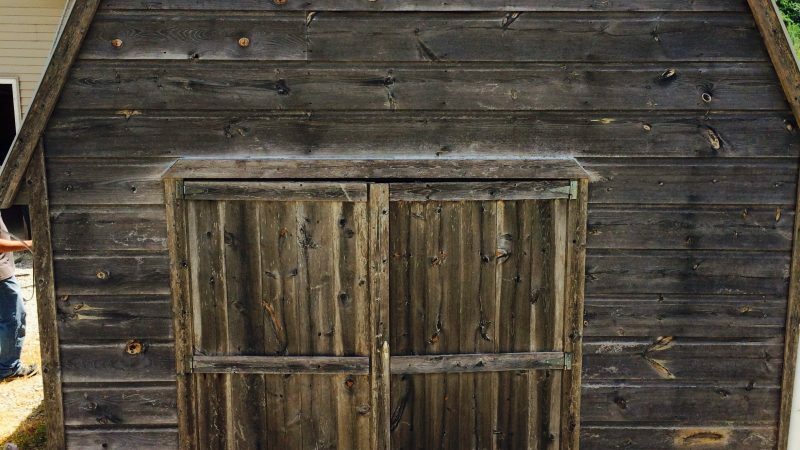 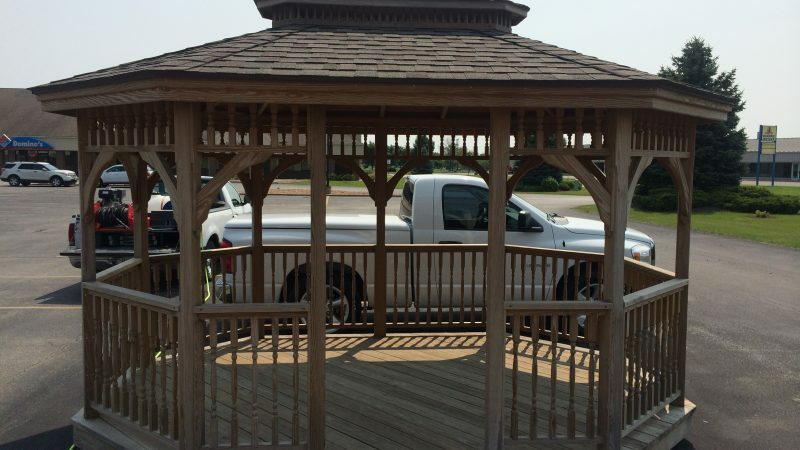 So old or new, deck, fence, wood siding, pergola, or other, call Anew Contractors to help restore your wood structure – and your vision!